I’m looking forward to less holiday seasons that entirely incapacitate me and more comic updates. 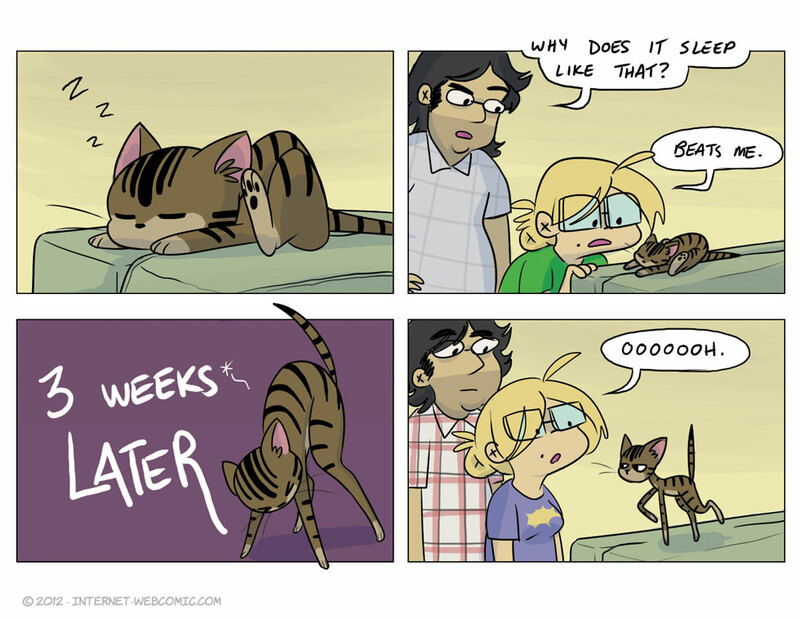 Comic updates about cats. 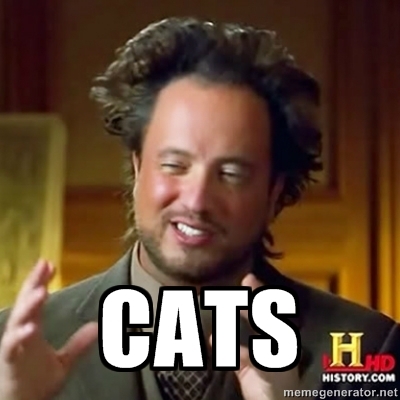 I have this crazy notion that people on the internet like cats as much as I do. lso, I’ve got a lot of plans for the site this year- which does not include a cast page because those are lame. THAT’S RIGHT, I SAID IT. Extras page? Bio? That’s more my speed. More later. They call him Legs McWhiskers and he’s the toughest feline this side of the Great Lakes. That’s actually very appropriate ‘cuz she walks like a cowboy. Mean-eye Mooch, the baddest cat in the big city. Watch your plate, pilgrim. My cat sleeps on my robe, so I lay it out on my bed for him every night. He also drools a lot. I thought that he pissed himself one night, but I was wrong.